What could cause two former NHL teammates to each jokingly tell the other, ‘keep your head up’? For Raphael Diaz, who was recently traded from Montreal to Vancouver, and Canadiens forward Tomas Plekanec, it’s a meaningful matchup on the world stage. 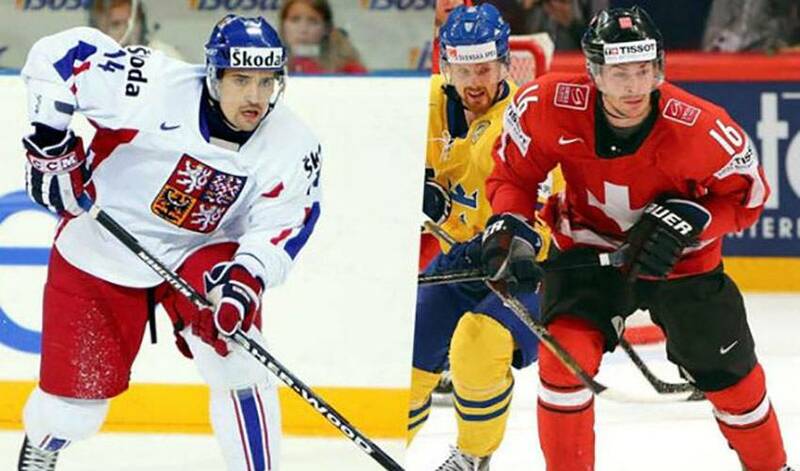 When the rosters were announced for men’s hockey at the upcoming 2014 Winter Olympic Games in Sochi, Diaz, who will play for Team Switzerland, and Plekanec, who will suit up for Czech Republic, had a brief, yet playful, exchange in the Habs’ dressing room. For Diaz, who has represented Switzerland at several international tournaments, including a silver medal-winning performance at the 2013 World Championships, it was all fun and games with a respected teammate. “He’s a great guy, a great teammate to have played with and obviously, he’s an excellent hockey player,” said Diaz, of Plekanec, who won gold with the Czechs at the 2001 World Junior Championships. “He’s pretty quiet, but he’s a funny guy, too. He’s a real team player. We didn’t talk too much about facing off against each other at the Olympics. We were both happy for each other. Diaz is simply thrilled to have the opportunity to wear the red and white colours of his country. “You could really feel the team spirit when we won the silver in 2013,” said the undrafted defenceman, who signed with Montreal in 2011. “Everyone throughout the whole country was excited. Just don’t expect any trash talk between Diaz and Plekanec when they meet up in Sochi. Based on what's in his playlist we're surprised that Tomas Plekanec has never done this one thing.